Lenovo’s flagship IdeaPhone K900 smartphone only made its way to Malaysia last month, but it looks like Lenovo is already testing a refreshed variant that is set to be announced soon. To be called the IdeaPhone K910, the new device looks set to ditch the Intel Atom chipset used in the K900 in favour of the all-powerful Qualcomm Snapdragon 800 processor – that is, if the latest Antutu benchmark scores are to be believed. 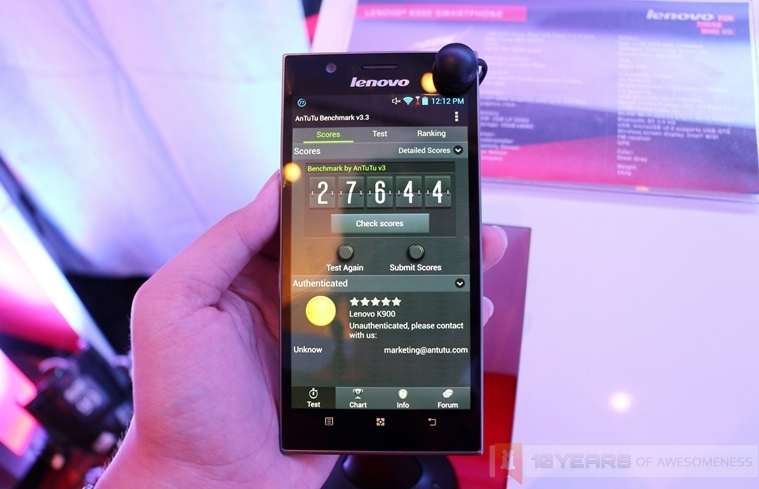 The Lenovo K900 and its Antutu benchmark score, taken during the local launch in July. GSMinsider found a new entry in the Antutu benchmark scores bearing the name “Lenovo K910” and the processor frequency that appears to confirm earlier rumours that the company’s latest flagship will run on Qualcomm’s finest chipset to date. 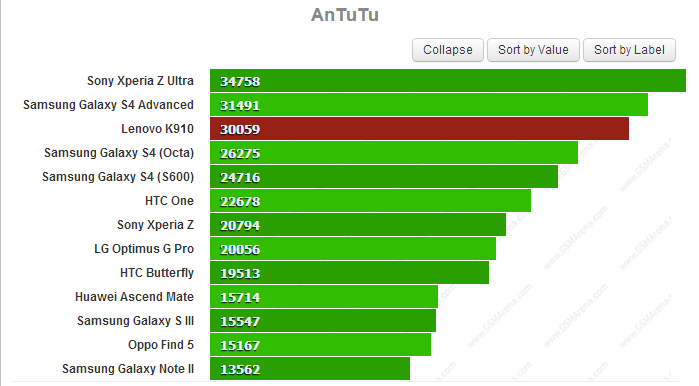 Interestingly, the score attained by the device – roughly 30000 – is markedly lower than the other two devices running on the Snapdragon 800 chipset in the market right now: the Samsung Galaxy S4 Advanced and the Sony Xperia Z Ultra, despite running the same 2.2GHz clock speed as the two. Nevertheless the score may still be from a prototype device, and perhaps the score will change when Lenovo’s latest flagship hits the market, which is rumoured to be sometime this fall.